What is the girls on track - Karting challenge? The FIA, together with nine partners, are implementing in 2018 and 2019 a competition model for the promotion and development of young women in motor sport at grassroots level. The FIA European Young Women Programme will contribute to the advancement of the FIA’s educational and social roles, and support its national sporting authorities (ASNs) with their motor sport growth as each strive to raise aware of gender equality and increase the participation of women in the sport. In addition, the project is academically partnered by CDES-PROGESPORT at the University of Limoges (the Centre for the Law and Economics of Sport), which will deliver a crucial aspect of the project. A sociological analysis by CDES will support and analyse the programme and make recommendations to the sport’s stakeholders and public institutions on how to increase the level of female participation and help fight gender stereotypes. This report, presented at the end of the project, will become a reference outcome for the project. The project FIA European Young Women Programme is supported by the European Union through the Erasmus + Programme. The European Union supports sport related projects since 2014 in various areas including societal aspects and gender equality. The FIA European Young Women Programme is launched on 7 March 2018 during the Geneva Motor Show. 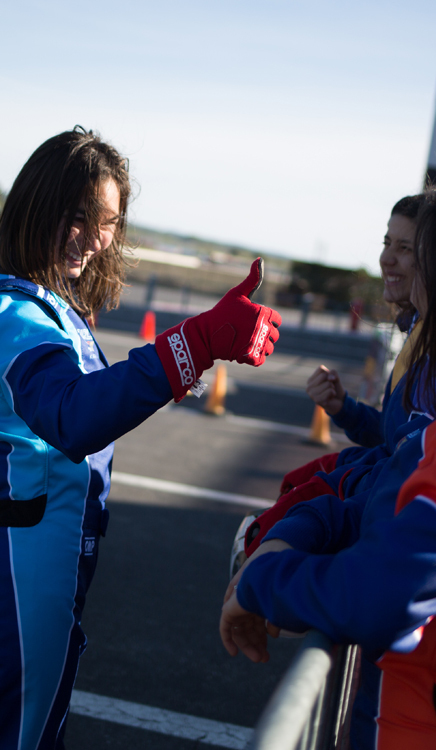 During the first year the karting slalom events will be promoted to young females between 13 and 18 years at a national level within eight European ASN partner countries. This two year project is based on a cost-effective, arrive and drive karting slalom format : The Girls on Track – Karting Challenge, a new concept currently being developed by the FIA whereby a small tarmac area in a central urban location will be set up with marker cones to create a slalom course. 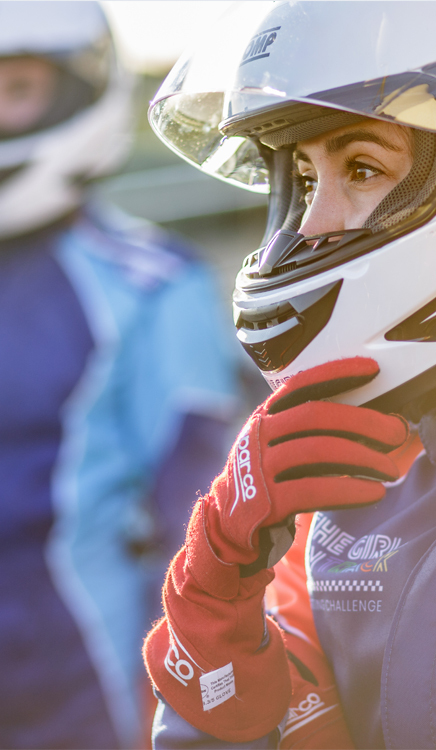 This format of event, with identical regulations and track layout set up in highly frequented locations, meets those objectives and hopefully hundreds of girls will be inspired to come along and give it a try during these karting slalom weekends. Aside from providing an experience in a kart, the events will also highlight road safety initiatives, open up the work of the FIA, our ASNs and motor sport in general to a new and young audience, and potentially encourage females to get involved in any number of different areas. At the beginning of 2019, the three fastest girls from each country’s events (24 in total) will then pit themselves against each other at the European Final (Le Mans, 7-10 March 2019) for the chance to be among the six drivers selected for the European Team, who will attend the FIA Drivers Training Camps, where they will be supported through a sporting and educational programme. During the autumn of 2019, the partners will organise the final event, report on the outcomes of the project to the European Institutions’ officials in Brussels, and host a spectacular karting demonstration involving the European Team selected during the project. The FIA European Young Women Programme was officially launched on 7 March 2018 during the Geneva Motorshow. During the Geneva Motorshow, the FIA presented the project in the presence of Jean Todt, President of the FIA and Michèle Mouton, President of Women In Motorsport Commission. Programme ambassadors Susie Wolff and Tatiana Calderón also participated in the event, along with Ambassador Peter Sørensen, Head of the European Union Delegation to the United Nations in Geneva and Mr Nakayama, Global Motorsports Manager of Yokohama. Each country involved in the project will organise karting slalom events between March and October 2018, inviting all girls from 13 to 18 years old. The events will be set in highly frequented locations, follow identical regulations and track layout. The partners expect more than 3200 participants in total during the national selections phase. Karting slalom is a popular sport variant of karting where participants complete obstacle challenges built of cones in a small tarmac area. The slalom can be successfully completed by beginners and focuses on the driver’s dexterity and ability to react. To ensure fairness and impartiality, sport coordinators will be present on site. Our three sport coordinators are Nicolas Klinger, Jutta Kleinschmidt and Tiina Lehmonen. 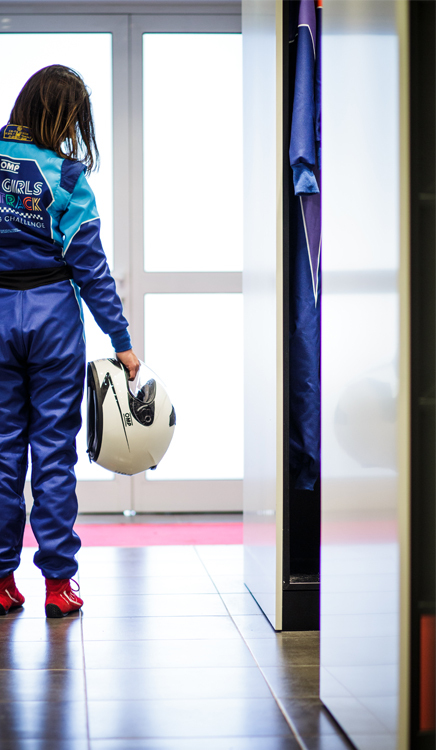 Aside from providing an experience in a kart, the events will also highlight road safety initiatives, open up the work of the FIA, our ASNs and motor sport in general to a new and young audience, and potentially encourage females to get involved in any number of different areas. On 7-10 March 2019, the three selected girls from each country’s events (24 drivers in total) will pit themselves against each other at the The Girls On Track Karting Challenge European Final, for the chance to be among the six drivers selected for the European Team. This event will be an exciting challenge for the participants. The European Final will take place at Le Mans (FFSA Academy, France), a unique and prestigious location for motorsport. Following the European Final, the six drivers selected for the European Team will attend the FIA Drivers Training Camps, where they will be supported by the FIA through a complete sporting and educational programme. Two Drivers Training Camps will be organised between May and August 2019. During the autumn of 2019, the partners will organise the final event. 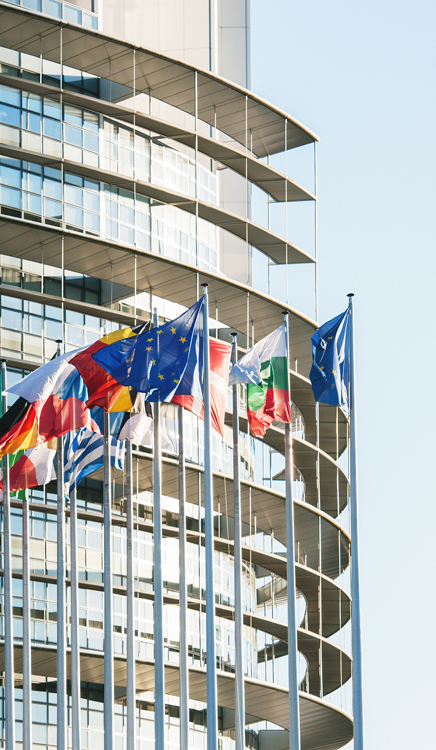 A large conference will allow the partners to report on the outcomes of the project to the European Institutions’ officials and representatives of sport organisations in Brussels. In addition, a spectacular karting demonstration will take place involving the European Team selected during the project.